So much yarn, so little time. : WOW - a day filled with GREAT karma! Yesterday was such a day! Such a treat! Alyanna is a fantastic curator, so I'd had my fingers crossed since I first saw the treasury. 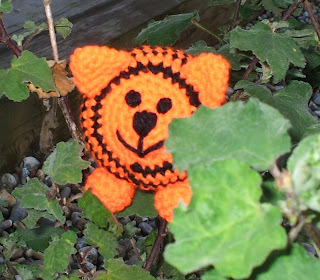 Sure enough, during the afternoon my little tiger was sold, and I'm just off to the post office to send him to Austria. Hes taking a little friend with him too! But that *still* wasn't all. Later that evening I found a picture attachment in an email, from someone I wasn't even sure I'd met. Fellow Folksy seller Amanda from SnowflakeUnique had fallen in love with my meerkats and created me this picture from one of her own photos, taken at Amsterdam Zoo. Isn't it brilliant? I'm hoping my good luck will stick with me for the rest of today at least, because I have a job interview at lunch time and then I'm taking my knits to a Craft Fair. Just in case you're in Kent I'll tell you it's in Wingham Primary School, from 6pm - 8 pm. wow nifty you had a great day!! 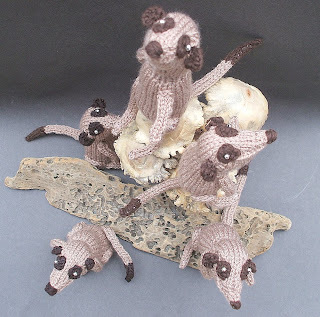 Send some of your karma over this way please :) I just love that meerkat picture - it's fabulous! What a nice surprise! I love days like that, when it feels like all the hard work is paying off! I hardly dare post this - I've just had an email saying I've won another blog prize. Only an hour and a half till my interview - pleeeeease let my luck hold out! I hope your intervie went well!! Hope your luck lasts forever! This is a great post. Wow what a great day! Hope it continues for many more. 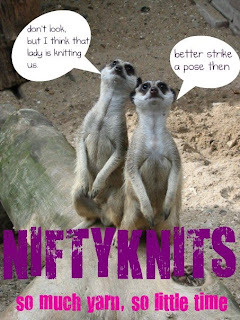 And love your meercat pic - very funny. Well, how did it go? I hope your lucky continues for the rest of the day. Congrats on all your wonderful happenings! I LOVE the artcard that was created for you! Too clever. Wow, what a day!! Big congratulations on all the *lovely* karma and I really hope your interview went well! 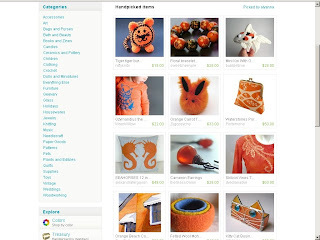 Have had a peek at SnowflakeUnique and have added her to my Folksy faves, she has some lovely things in her shop. Congtats Heather, I love it when good things happen to nice people. and That is you...I hope your good karma keeps going!!! the interview went well (I think!) and I actually enjoyed it (though my hands wer shaking when I did the computer test, LOL, it's not like I'm used to using a computer at all) and I took just over £40 profit after stall fees - not too bad!